surprised i hadn't seen that before... thanks! looks nice! where's that elven statue thing from? the first post from BoW was on the last day, so they did cover it during the KS. and big thanks to BoW, and all the posters that threw some additional information into those articles' comments. Topic: Lessons learned from KS 2? Re: Lessons learned from KS 2? again, sorry. apparently i only write in novels. yeah, it seems like right now the order system isn't all the useful. most people just seem to sit on attack all game. it seems like if the system is going to use an orders system, the orders need to matter (or be differentiated) a lot more than they currently are. maybe i'm playing it wrong. cool, i don't get mine till norse ships, and i imagine it might be a month to get overseas. bloodmaw! magaan looks really good too. they've done a really good job on all the leather pieces too. Topic: Evl Hmr Kraan's Bear, no Krann! 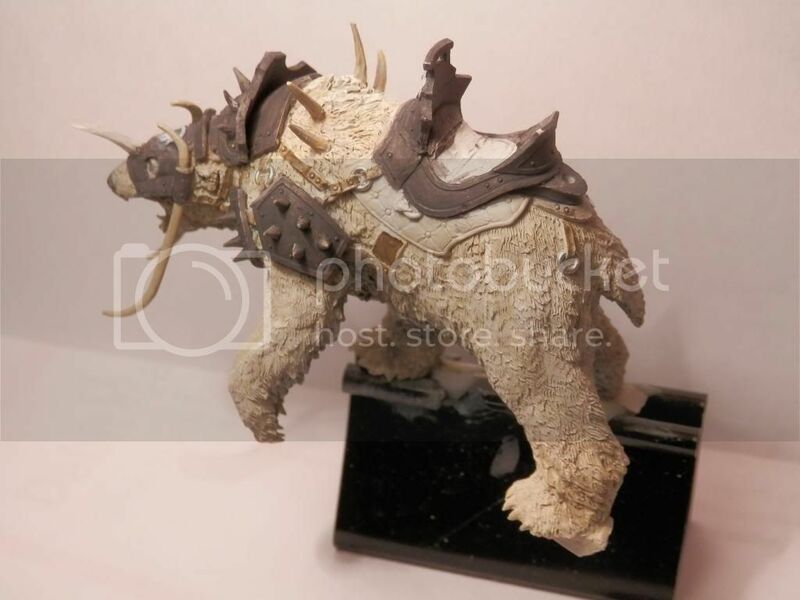 Re: Evl Hmr Kraan's Bear, no Krann! thanks - link works fine! 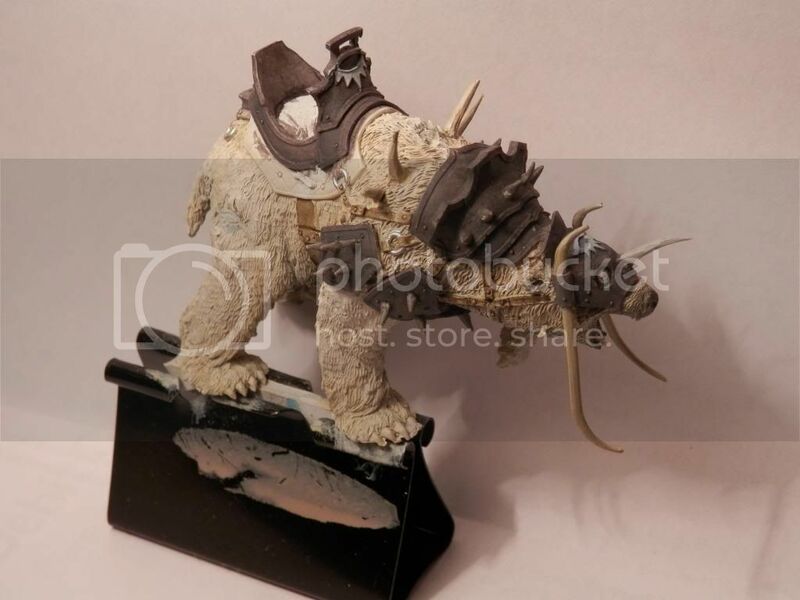 so, arena rex released their sculptors list, and surprise! like 7 of the people sculpting for darklands showed up on there. has mierce talked to sebastian archer? he seems to be pretty good (aquila for arena rex). put it on your gdrive (thanks google) and share the link. it'll even open in the browser. angislaug in may? for real? so, when are you going to paint mine? I don't care all that much, but those D10's really aren't anything special, and they don't even come close to the concept art. It would have been much better to cost check before promising them to everyone. yeah! please keep us updated, it's looking great. a good start. I'm sure these will look end up looking great too. I have a file set which has some small/round files, and i can gently sand whatever off after clipping the big chunks. Topic: Kickstarter haul - who's got what coming? Re: Kickstarter haul - who's got what coming? that means i don't need to scour ebay or find chinese recasts of confrontation drune raiders, which makes me happy. Topic: Has anyone seen the rules yet? Re: Has anyone seen the rules yet? yeah, until we get stats on things, i'm kinda hesitant to purchase a ton of stuff just to find out it's not so hot. I still might grab krull though, since we've got an extra week. sure thing, if we schedule around traffic, you're about 25min away. i'm not big on ratmen either. and i'm glad MM has avoided a lot of the orc/goblin/skeleton/elf/dwarf type thing as well. You DO need to make a mounted drune unit though. pretty please? who did that? looks great! I'm looking foward tonorse and roman infantry, roman war machines, and complete stats on the units (because it actually is important when i'm buying for a game system! If we had stats for the units now, I would have doubled my order in all likelyhood). love it, can't wait to see it completed. elephants, camels, war machines, legionary infantry. AD&D 1st or 2e works for me. stick with what you know i guess. Topic: How do you make Carrowek even more badass? Re: How do you make Carrowek even more badass? this is one of the fastest turn arounds i've seen on KS. I mean, we've already had people assemble and paint a bunch of quick ship models and now it looks like some of the starters are ready to go . Thanks! I look forward to my trolls... and dragon! do you have bigger pics? and thanks for the space marine. it's really the only scale i know.